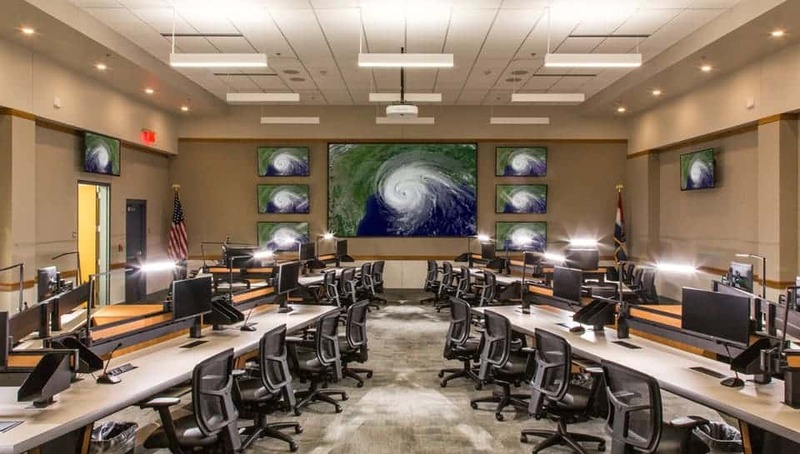 Emergency Operations Center - Boone County - ADG/PWArchitects, Inc.
Columbia and especially Boone County is growing and projected to continue that growth substantially in the future. 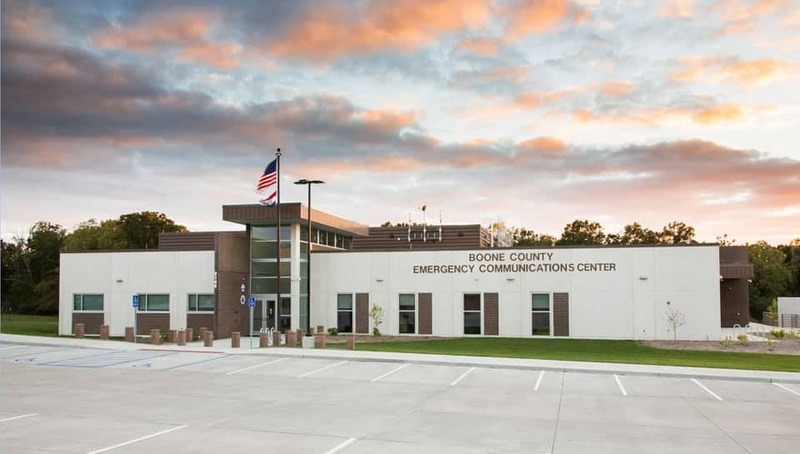 Given that the size of an Emergency Operations Center (EOC) is a reflection of a county’s population size, Boone County was no longer able to service the growing community with its current facility. 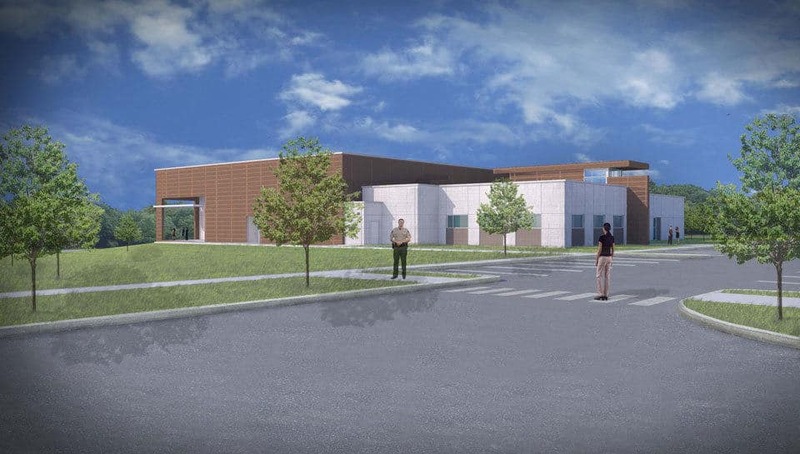 The new facility, which will run by the county and located at the back of the county’s facility property near the county jail and sheriff’s annex, joins the forces of the previous city and county EOCs into an integrated facility that will serve the community for decades to come. While a challenge, the building’s sloping site allowed for a loading dock on the lower floor. As the Associate Architect for the project, PWA worked with the civil engineering consultant to find solutions to the site’s challenges that would work for all parties involved in the project. Throughout the design process, PWA assisted the prime architect Architects Design Group (ADG) with communications between the County/City and various design consultants as well as provided interior design and the preparation of the specifications for the project. Throughout the construction phase of the project, PWA provided the primary work for construction administration. The design phase of the project involved meetings with all contributing members and stakeholder representatives including the principal architects, representative consultants, county commissioners, public safety joint communication representatives, police chief, fire department chief, and Boone County auditors. During these meetings, attendees were able to present their portion of the work, ask questions, offer solutions and state any group concerns. With each planning meeting, the design team and stakeholders reviewed the building’s needs and requirements keeping the overall building size continually in mind. By estimating the square foot cost, the building could be guided to stay on budget at the start of the project. Key ideas such as the use of multipurpose spaces helped to reduce the overall size of the building without losing function. It is through this type of open forum design process that this complex and multi-faceted $20 million (facility and equipment) EOC Center evolved. The project which kicked off in January of 2014, was completed in June of 2016.